I visited some friends for dinner last night and in the corner of their living room I spied a Roomba. I asked them if they still used it and they enthused how it was one of the best presents ever. They have had it for five years and they have used it everyday. It never complains, just gets on with cleaning their hard wood floors and carpets downstairs. This was viewed as a godsend for their family of 3 growing boys. They gave me a demo of their ‘RoboCop’ in action, and it simply went about its business, twirling around, picking up crumbs, fluff and other stuff, while all the time snitching its plastic whiskers to re-orient itself for when it gets stuck in a tight corner. Having an autonomous gadget that cleans floors simply works. 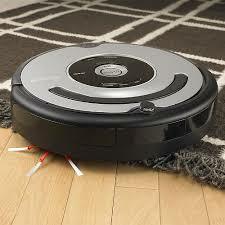 Over 12 million Roombas have been sold worldwide since they were introduced in 2002. China is now getting in on the act and shipping them by the boatload. There is much talk about the next generation of domestic robots. However, these are of an order of magnitude more ambitious than the Roomba in what they are being programmed to do and the hoped for improvements to life. They are now being coined super-robots (Sunday Observer, Nov 6th 2016). One of the latest offerings is Miro – designed to be like a cute cartoon dog with big eyes, big ears and a pert plastic tail. Funnily enough, it has no legs so can’t jump up or crouch or fetch like a real dog. Instead it sits on two base stumps. Its role is to be a companion dog that will nag its owner to do things. The envisioned end user is an old granny, who forgets to take her medicine and people’s names. Making a robot dog be your reminder seems perverse to me. Dogs are meant to be petted, cuddled and taken for walks – not to become your super ego. The makers mean well – just like all the many other assistive technology developers do. They all seem to have a vision of what ageing is – an old person living on their own who could fall over at any moment and that new tech can sense when this has happened and alert an ambulance to come to the rescue. 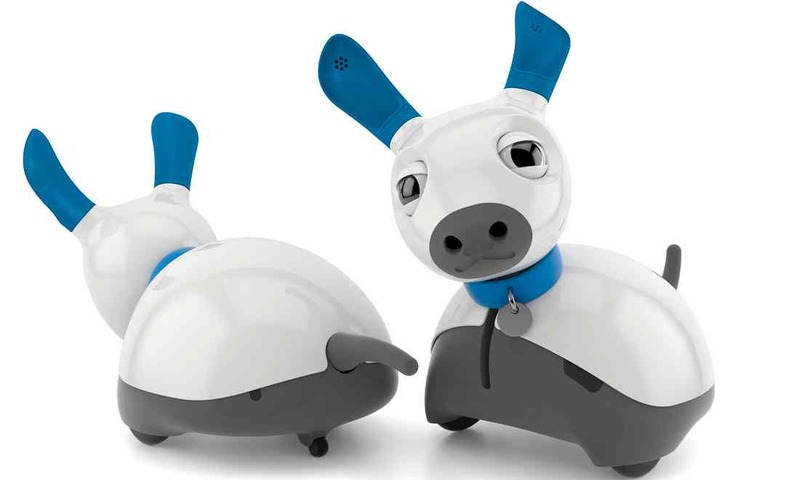 This breed of robots are quite different from the early dog robots, like Aibo (an expensive toy that was popular a few years back among computer science departments) – that could amuse its owners with tricks. They are being designed to be integrated in smart homes, with cameras, sensors and wearables all thrown into the mix. The dream of tech developers is to put all this gubbins together in someone’s home to show tech’s might. The system of sensors will be able to measure everything about an old person and what they do in their own home, including their heart rate, body temperature, when the taps were turned on and off, when the toilet was flushed, how much toilet paper was used at a sitting and so on. But who is interested in all of this and who is going to look at all of the masses of data that will quickly acumulate? There will be special data analytic companies set up whose job it will be to monitor the millions of feeds of data, determining if one of the many alerts and notifications that will beep away on their screens actually need attention or is just a quirk of the quotidian of being at home. Most of the data will be extraneous and of no use to helping old people living on their own. It is no substitute for a friendly face popping round for a cup of tea and a chat. What’s more the domestic robots are still a long way from being able to perform taken for granted chores like making a cup of tea, emptying out the dish washer or making a cheese and pickle sandwich. They might be able to make the perfect pancake but they can’t use a spatula to take it out of the frying pan and place it onto a plate – something we humans do without thinking. Simply put, “It’s an implicit knowledge humans have, but it’s extremely hard to make that explicit for a robot.” (Michael Beetz, head of RoboHow). While companion robots can be programmed to roll their eyes around or purr when stroked, they are a long way from looking their owner in the eye to say ‘come on, pet’, or sharing a good laugh with them cracking jokes about the innuendos being pronounced on TV. The people who are being targeted at for the next generation of super-robots are the frail, the lonely and those with Alzheimers or other memory loss. The robots are going to cost an arm and a leg together with all the other tech and monitoring support needed. The Roombas, in contrast, were targeted at consumers, from busy working families to business people. They now cost the same as a smartphone or a dishwasher. Why can’t the next generation of domestic robots, be designed to help everyone enjoy life more than be just nagging at old folk. Our parents and elders are a lot smarter than tech developers might like to think – as this wonderful video from Superflux called ‘Univited Guests’ depicts.